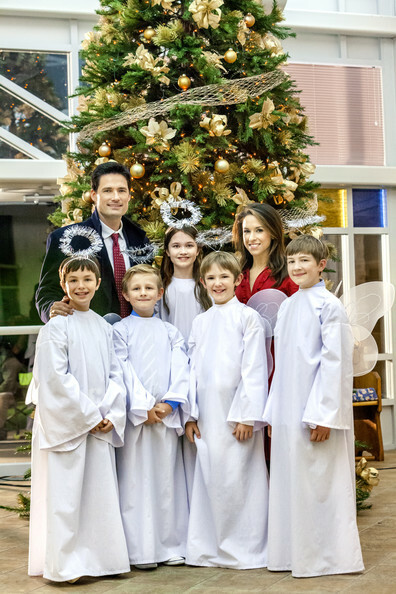 In this handout photo provided by Crown Media, Hallmark Movie Channel's "The Color of Rain," starring Lacey Chabert and Warren Christie and based on the New York Times bestselling book by Michael and Gina Spehn, tells the emotionally captivating true story of two families? unexpected new beginning and how they found faith, love and hope in the midst of tragedy. ?The Color of Rain,? a Hallmark Movie Channel Original World Premiere, debuts Saturday, May 31 at 9p.m. ET/PT, 8C.